I follow Boost Brothers Garage on YouTube and must say you all make a fine product! 4" Bolt On Tips are now available. 4" Deluxe Double Wall pictured below. We're always looking for ways to optimize our products, and we sought a solution to increase the clamping force and longevity on the clamps that we use. 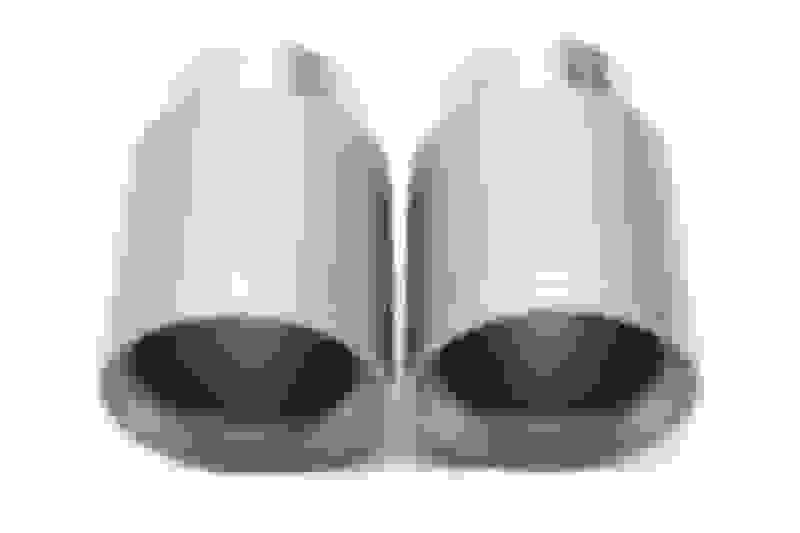 Our goal is to minimize the risk of exhaust tips coming loose or having an inability to remove and reuse them due to corrosion over time. 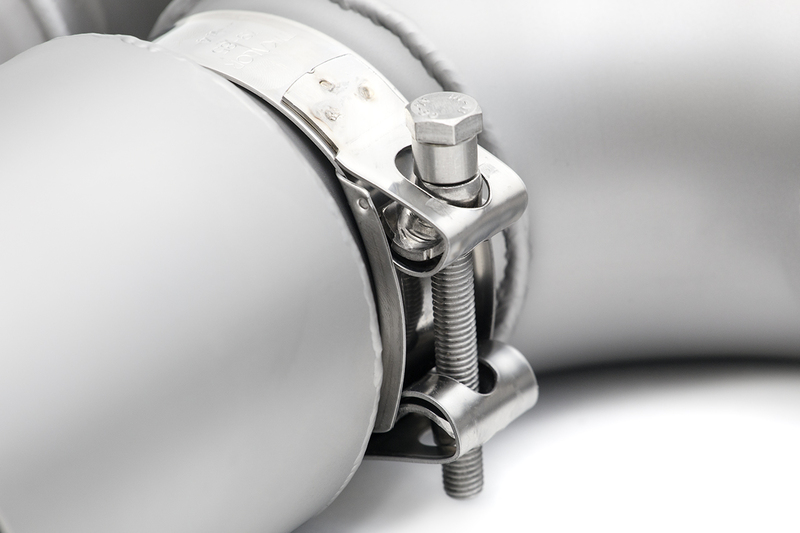 We've partnered with Mikalor to use their Supra Heavy-Duty W4 Clamps wherever possible. Projection welding spots, swinging bridge, high-strength stainless steel bolt and the exclusive design of their captive nut and trunion offer superior clamping forces. 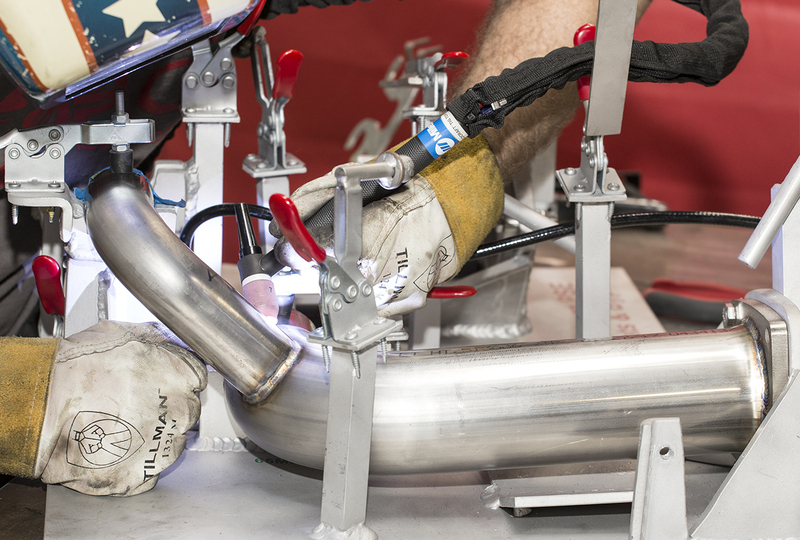 All Bolt On Exhaust Tips and our Trackback exhaust will use these clamps moving forward. I bought these along with single wall 4 inch tips. I'll get pics up soon with both. Thanks again! We're looking forward to it! Fabbing up another run of our Cat Bypass Pipes. Our heavy duty aluminum fixtures prevent warping, ensuring proper fitment every time. We back purge our welds whenever possible to encourage full penetration of welds and longevity. I just wanted to say how impressed I am with Soul's packaging. I guess most people probably don't care too much about the box but Soul packaged these tips as if they were made of glass. I got two sets, 4 inch single wall and dual wall. I will be doing a photoshoot with both and selling the set I don't use. Thank you so much, we're looking forward to your photo shoot! @francisluu, (Sport Catalytic Converters equipped) putting in good lines at Pacific Raceways! Crafting another round of Cat Bypass Pipes! The number one question that we get asked about Cat Bypass Pipes is "will I throw a check engine light?" You may, you may not. We did not throw a check engine light during nearly 100 miles of testing. Some cars eventually do get a check engine light. We also offer catted O2 spacers to decrease the chances of getting a check engine light. Tuning can eliminate any lights while extracting extra power out of your car. Worried about a CEL - that's why we also offer Sport Catalytic Converters to get most of the sound without any smells or check engine lights. We're always here to answer any questions that you may have. I'm very torn between the two as I live in California and we have eco-***** here. I'll be ordering up a set soon just not sure if the smell if going catless will be a big deal and tip people off. Probably best to be responsible but I love the sound when catless! Same struggle here. Would pairing sport cats with x-pipe get similar (albeit more expensive) result as catless? 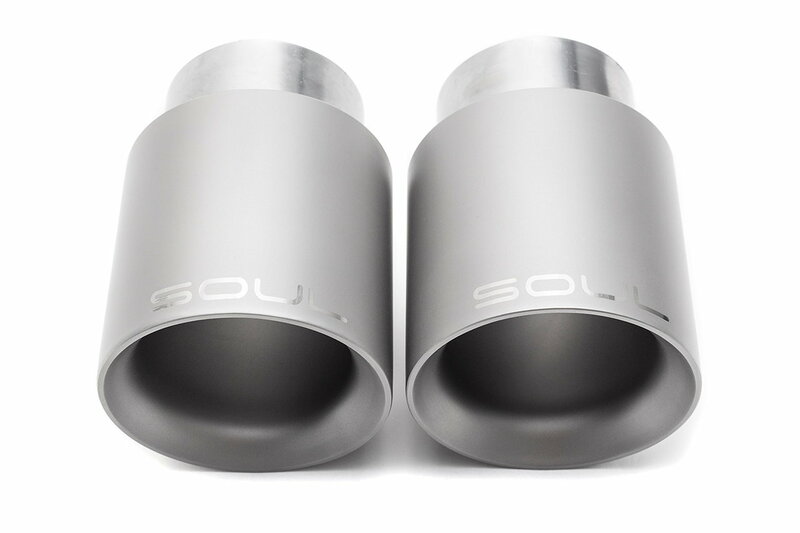 I also wonder if Soul is going to come out with x-pipe for .2 car. Due to where the cats sit in location of the turbo I think it will be hard to mimic the sound of going catless with the x-pipe. Can you get it louder? For sure. Since I have PSE I'll probably do the Soul sport cats and a set of manifolds from CBRD for a nice sound and performance bump. If I need it louder I'll look into a muffler solution at that time. Thanks for the feedback. Any and all reviews you post of your experiences would be appreciated. No problem. I'll have vids and graphs when the time comes. This is a situation that we run into quite a bit (unfortunately) but there are still ways to enjoy your beautiful state and have an outstanding sounding car. The first direction that I see many people taking is to simply swap out their catbypass pipes with the OEM cats when the emissions testing comes around. With the install of our products on the 991.2 being so straightforward, this is a viable option. The smell of the catless is something that you as a driver and anyone behind you (with automotive knowledge) will notice. How this affects the day to day, i.e. will a cop pull you over because of the smell, I can't say for sure.